Teeth are complicated things. 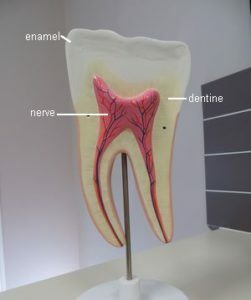 While they are basically living tissue (nerve) encased in a strong outer shell (enamel and dentine), the special property of teeth is that each one is different. No two teeth are ever the same. From person to person, or even the same type of tooth within the same person’s mouth – they are all unique just like a fingerprint. Coupled with the fact that they live in an environment that is constantly exposed to extreme conditions (too acidic, too dry, wear and tear, insulted from decay) and you can see why teeth can be damaged easily and why restoring teeth back to their original state can be a challenge. Some teeth like the back molars are prone to cracking and breaking due to the strong chewing forces being placed on them constantly. Some teeth however are more likely to be sensitive, like the incisors. Some teeth wear down more, some decay… No matter what the problem, we love restoring teeth to their original glory. Whether it be clearing out the decay and placing a filling, or even replacing the damaged enamel shell with a strong crown (cap). Teeth may also come into the mouth in the wrong position resulting in crooked teeth. 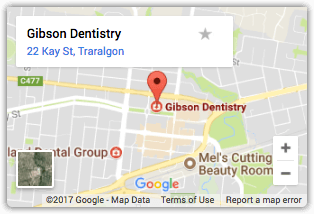 Orthodontic treatment aligns teeth into the correct position for that perfect smile. But we also believe that prevention is always better than cure, so forgive us for constantly giving advice on how to look after teeth over a lifetime!